The Dyer Board of Mayor and Aldermen approved a resolution on March 27 changing the way that bulk items are handled in Dyer. The new procedures are designed to simplify disposal of bulk waste such as furniture, clothing, and other items that may not be easily disposed of in a regular rolling garbage can. 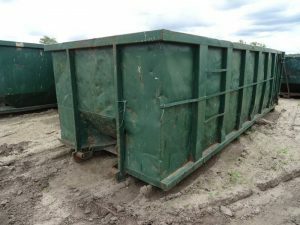 Beginning Saturday, May 6, 2017, the City of Dyer will provide open top containers (dumpsters) at the Dyer Wastewater Treatment Plant (199 Becton Drive, off of the 4 lane) for residents to dispose of bulky items. Residents are encouraged to dump their bulk items each 1st and 3rd Saturday from 8AM to Noon at the Wastewater Treatment Plant. The first date will be May 6, 2017 from 8AM to Noon. Only Dyer residents will be allowed to dump: Dumping will be monitored and only vehicles with a valid Dyer City Sticker will be permitted to dispose of items in the containers. There is no cost to Dyer residents to dispose of bulk items in the containers. Said Dyer Mayor Chris Younger, “This service is for residential customers only – commercial users or apartment or rental house owners are encouraged to make their own arrangements for disposing of bulk waste.” The City will supply a list of providers of dumpsters for commercial users or rental property owners. Residents living in rental properties with valid city stickers will be permitted to dispose of routine bulk waste. The city will continue to pick up limbs and other natural waste for free. Also, the city will collect natural Christmas trees each year. City Trucks will no longer be provided, however. Weekly garbage pickup is unaffected by the changes in policy.